So for a bit of fun today, I am hoping to stir up a debate. Lately, I have been thinking about the similarities and differences between fishing for redfish and carp. Let's be honest: beyond actual coloration, they look pretty similar as far as body shape and build goes. Carp pull as hard as any fish I've ever hooked other than striped bass. Yet, the lowly carp gets only minimal credit and then only among a somewhat cult-type following. The true carp fishermen are somewhat few and far between. Out here in Colorado I have noticed a few more than back in Tennessee but they are still not anything close to a majority. So, my question today is why fish for carp? For that matter, why chase redfish? I'm a pretty dedicated trout fisherman but enjoy chasing large- and smallmouth bass, panfish, striped bass, white bass, hybrids, musky, pike, yeah, I guess if it swims I'm willing to give it a shot. I have even caught a few carp and had fun, but am still not sure whether it is worth my time becoming a proficient carp fisherman. I have no credentials to answer this, but that never stopped me before so here goes. I've never been fishing for redfish. Don't care if I ever do as long as there are trout here in Colorado. As far as carp goes, I've never been fishing for carp. As long as there are trout in Colorado I'll be a happy camper. but I will go carp fishing this year. I just don't expect to get crazy about it but I've got to try. Howard, your expectations seem pretty similar to my own...I will say this: If I could find carp here that would consistently rise to a big dry, I would take them a lot more seriously. If you have to ask why then you're probably not going to do it much. To each his own. If the tug is truly the drug for you carp have few competitors. Like yourself, I'm a multi-species angler. If it has fins and swims I'd be willing to cast a fly to it. 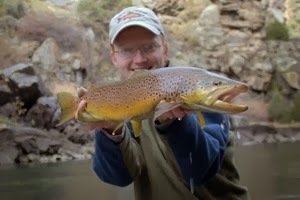 I'm more of a warmwater fly fisher by virtue of geography, but I do love trout fishing as well. 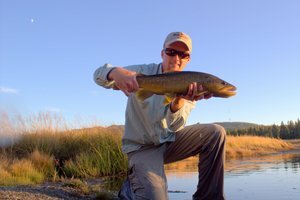 I've never caught a carp on the fly, but I've never really given it much effort. Most of my encounters with carp have been accidental... one randomly shows up at my feet on the Smallmouth or trout stream. 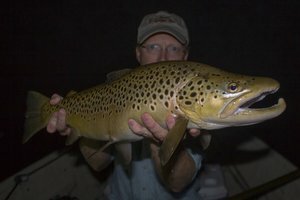 I've never found a good "crap flat," and I've had some conversations with dedicated carp fly guys that have led me to believe that's a pretty important element for consistent fly carping. 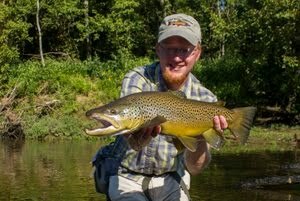 I'm determined to land one this year on the fly and I think I have my spot located. It's interesting you make the connection between carp and Redfish, because I've heard them compared to Bonefish more often than Reds. I've heard carp called "the poor man's Bonefish." Redfish actually have a very close freshwater counterpart in the form of their only freshwater relative- the Freshwater Drum... aka "Redneck Redfish." 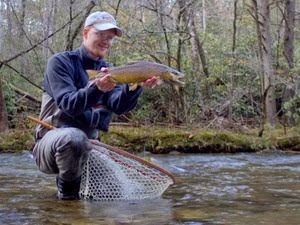 Although I have never gotten the opportunity to chase Redish, I have tried to catch a drum on the fly in a clear water river here in AL. I've caught plenty of drum in dirty MS spillways on live bait and lures, but never on a fly. I think at the right time of year in the right place Freshwater Drum can be pretty easy targets, but I haven't been so lucky yet. All that being said, I've gathered that carp are worthy and challenging targets for the fly fisher. I know when I land my first I'll feel like I've accomplished something based on their reputation for difficulty. Umm... make that "carp flat"... sorry for that typo.